While many of the MOP Brothers are taking online classes to be educated on various levels of healthcare, only one is currently an RN. His name is Brother John Paul, and he devoted the first hour of our last day at Bethlehem Home and Lord’s Place to speak with us and encourage us on our paths. Later we celebrated mass with lots of smiling and energetic children, participating fully to the best of their abilities. We spent the rest of the day continuing physical assessments, playing, and eventually saying our heart-throbbing goodbyes. Brother John Paul reinforced the theme of compassion that has been recurring all week. We must have compassion to be good nurses. As nurses, we must care for the whole person, which in Christian teaching is the union of body and soul. John Paul emphasized that when we care for the body, we also encounter their soul. I think we all learned what that really means this week. Many of the residents (children and adults) housed by MOP have severe cerebral palsy. 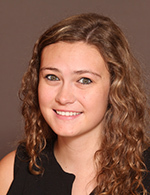 One 17 year old girl’s neck is so hyperextended that she sees everything either sideways or upside down depending on whether she is positioned on her back or side. She cannot sit or stand or feed herself, but when you get down low to make eye contact with her and call her by name, she’ll give you the biggest smile and the happiest laugh. That’s what it’s like to encounter the soul. It may be difficult to understand where this joy comes from in her condition, but I attribute it to God and the Missionaries who serve Him, who have housed this sweet girl for most of her life, showing her every day that she is loved and wanted. She is immobile and nonverbal, but has no pressure ulcers. She wears clean clothes every day and she smiles at anyone who takes the time to say her name. She’s one of many children at Bethlehem Home, all of whom contribute their own unique personality and laughter to this communal family. The Missionaries of the Poor provide more than a shelter. They provide a sense of love and belonging. She knows that she has dignity and value. She is not the only one. These children (and adults) face great challenges with greater love. The missionaries have limited resources and do not take money from the government. If you’re interested and able to support them please visit https://missionariesofthepoor.org/our-missions/jamaica-kingston/. If you pray, please keep them and the people they serve in your prayers. Every night we have a couple hours of debrief and then we go out to dinner. We’ve been getting home late and I’ve been fighting a cold. My apologies that I have gotten behind on blogging. Days three and five were very much alike, so I am combining them here. 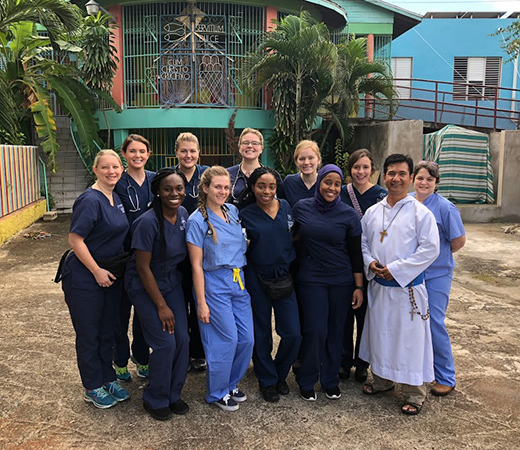 Both days we split up, with a few of us staying at Bethlehem Home and many of us at another Missionaries of the Poor (MOP) center called Jacob’s Well, which houses women with various psychiatric needs. Some of those at Jacob’s Well grew up at Bethlehem Home. 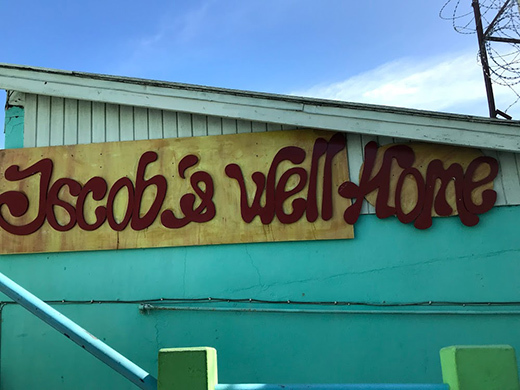 We completed assessments at both centers- physical assessments at Bethlehem Home for baseline record keeping, and psychiatric assessments at Jacob’s Well. Dr. Rodriguez made worksheets to guide our physical assessments, while MOP had forms they created with Canadian psychology students. Through observation, teamwork, and creativity, we were descriptive and thorough as possible, despite many residents being nonverbal. And while we were productive, we also had time to simply interact. On this Kingston nursing excursion, probably the number one most important thing we have learned is to to never underestimate the power of human touch. The residents are full of love, and we made sure there was room amidst our paperwork for conversation, nail painting, and hugging. The Brothers are grateful for our documentation, and we are thankful for the opportunity to get to know their residents better. A nurse told us this story today when we visited the Kingston Public Hospital. She advised us that we always remember we are nurses because we care about our patients and we love being a nurse. 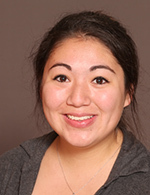 Sometimes we will not receive the recognition that we deserve, but we must remember that the call to nursing is driven by compassion, not credit. We will give of ourselves like the goat, even if we are sacrificed in the process. That’s not to say that nurses do not receive recognition in the hospital, but just a little story to remember for the times when our role is perhaps a little taken for granted. We were very impressed with the Kingston Jamaica Public Hospital and staff. Everyone knew about Emory University, remembered our instructors from the previous years, and were so welcoming toward us. One of the doctors even invited us into a patient room to watch his endoscopy procedure, showing us the difference between healthy mucosa and tumor. We quickly learned that nurses are very well trained and highly esteemed. All are addressed as “Sister ___” rather than just by first name. The supervisor nurses have their own office, and are all are so kind and friendly toward us and one another. It seems that all the nurses know each other, even from different floors. The head ICU nurse told us about all of her patients, many of which were car crash or motorcycle traumas that were transferred in from other hospitals. 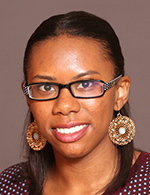 She shared each condition, how they have improved or declined, and her plan of care. She was incredibly knowledgeable; I would trust her with my life. She even visits her prior patients on the floor when they’re doing better, and shared how happy it makes her to see how different they look sitting up in bed. We toured almost the entire hospital from emergency to med surg to radiology, dialysis, and more. We are so grateful for the experience and the encouragement we received from wonderful nurses who have so much passion for this profession. Walk Good, even if you’re the goat today. 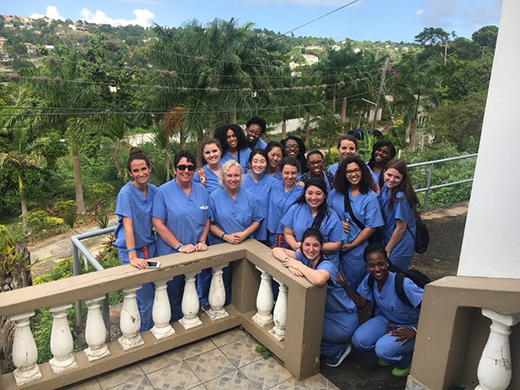 Emory’s Kingston Nursing Team arrived in Jamaica last night. We began the morning with mass at the Bethlehem Center, one of the many homes run by Missionaries of the Poor. We were greeted with open arms (literally) from all the children and a very warm welcome from the priest and congregation. Mass was filled with both joy and reflection, complimented by music, clapping, and dancing. A little boy born without legs and one arm, hit the tambourine against his shoulder with rhythm and pure joy on his face. Everyone from all walks of life were invited to find hope and encouragement, reminding us to include God in our plans for the new year, with open hearts to change and growth. The team reflected this evening on how grateful we were to be introduced to the community in such an inclusive manner. We will be visiting the center again tomorrow to begin serving the community, but today they served us. It is warm here in Kingston, and we say that in more ways than one. With a temperature of 81 and 100% chance of hugs, our cheeks and hearts are quite warm indeed. Walk Good (translation – “take care/stay safe” in Jamaican Patois). This morning we began with a short orientation at Jesus Redeemer before driving back to the same place we were for mass yesterday. We split up between Bethlehem House, which is where the children live, and Lord’s Place, the home to over 120 women and a few men across the driveway from Bethlehem House. Upon arrival, we were instructed to pair up with certain brothers, who showed us one example of a task and let us carry out the rest. We assisted with morning feedings, provided respiratory treatments with nebulizers, and performed range of motion with lotion massages. Many of the children are impacted by cerebral palsy, genetic disorders, neural tube defects, and mild to severe cognitive delays. But, their spirits are not so challenged. Today many of us witnessed the boy I mentioned yesterday with only one arm and no legs carefully feeding Cheetos to the boy in the crib next to him. These kids may be small but, emotionally speaking, their hearts are big. At noon, the brothers invited us to midday prayer, as part of volunteering is participating in their way of life. This prayer time allowed for reflection and rejuvenation to continue serving. As the day proceeded, we cleaned and bandaged wounds- pressure sores, cracked skin, and tinea – and helped sort pharmaceuticals into daily capsules so medications will be timely and organized for the week. Towards the end of the day we painted nails, which is a huge thrill for many at the women’s center. There’s a woman at Lord’s Place, we’ll call her “Patty” for anonymity. She is so loved by all of the other women because she has decided to spend her life serving them, even though she herself is one of them who lives at Lord’s Place. She’s so active in service, that, at first, I thought she was a Jamaican volunteer. There’s a quote on the altar I saw at mass yesterday. It reads, “True happiness is serving the poor.” Patty is one very upbeat, joyful woman. She has needs too, medically and physically, but she is better off than many, so she gives- all day long. We all have challenges, sorrows, and weaknesses, and I can’t help but wonder how different our lives – our world – would be if we all approached one another as Patty does, giving and sharing what blessings we do have. 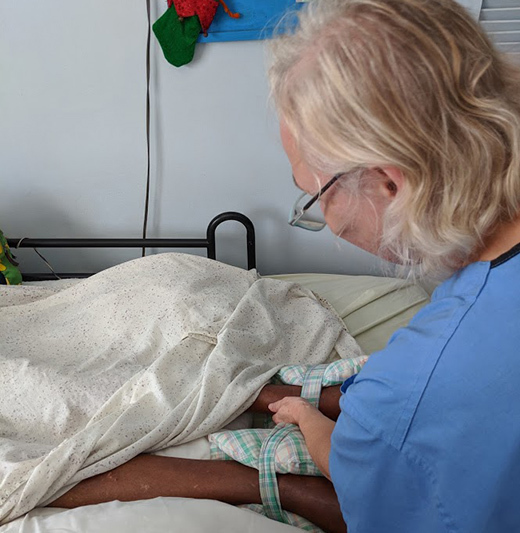 Every person on this Kingston Team of ours is striving to be like Patty this week, making every effort to share our gifts with this community, upholding the dignity of every person, as we nurses are called to do. Hey everyone, this is Richelle from the alternative break trip in Montego Bay! Today was our last day of clinical events, which started with health screenings at Flankers New Testament Church of God. 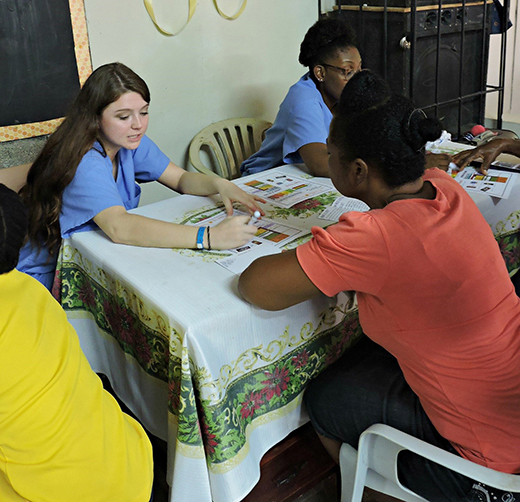 The health screenings consisted of many of the same content as our previous screenings, such as blood glucose, blood pressures, BMI calculations, and nutrition teaching that was individualized for the needs of each person. Our time at Flankers was extremely enjoyable and we were blessed with the opportunity to intimately socialize with the members of the church. One interaction that left the greatest impression with me from this location was with a elderly female member who I was taking a blood pressure for. During her assessment, I noted that her blood pressure was elevated and began a discussion with her about hypertension and monitoring her pressure. I asked the elder about her primary physician and if she knew what the normal range of her blood pressure tended to be. In response to my questions, the elder stated that she did not have a primary physician and had not had her pressure taken for an extensive period. 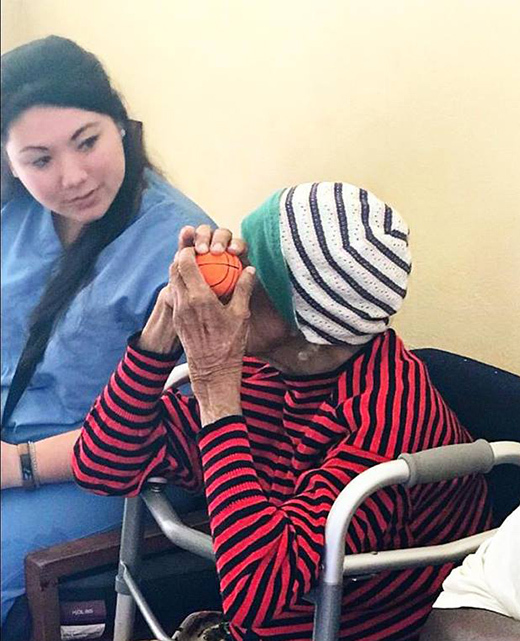 This interaction may seem trivial to those who are hearing it from an outside perspective, but listening to the elder resonated with a major sentiment that us nursing students have had during our week here in Montego Bay: what difference is the work we are doing here truly making in the lives of those we encounter in the community? 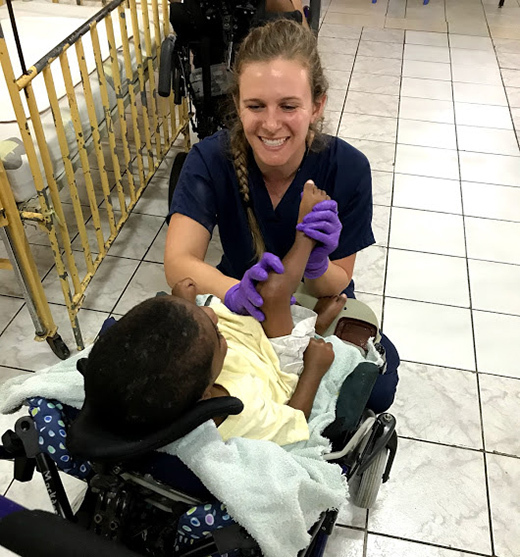 Every trip struggles with the issues of trying to make an impact with the work that we do in order to give meaning to the time we spend serving those abroad. 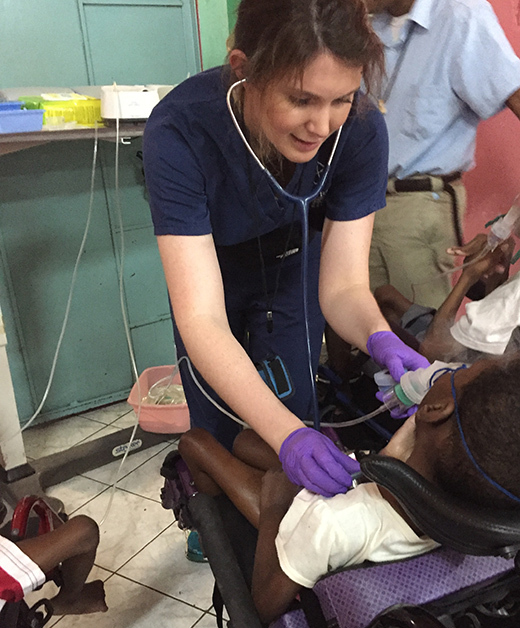 I believe what this trip has taught many of us is that sometimes even the smallest things, like informing someone that they should visit (or find) a primary physician or take the medication, can make a bigger impact than we think. At the moment I did not know what to tell her other than to see if she could find a way to come into contact with a physician to monitor her pressure. It may not seem like a meaningful thing in the moment, but just talking and educating her about the dangers of high blood pressure seemed to instill motivation to look further into this concern. To cap off the remainder of our stay, our last scheduled event was a visit to the sprawling 10 floor location of the Cornwall Hospital. Unfortunately, we were unable to get access to the larger facility due to issues with air quality. However, this setback gave us the unique opportunity to observe the flexibility that nursing professionals possess in order to overcome adverse circumstances and deliver the best care to their patients. They had to relocate patients to various areas in a building that was previously the nurses’ dormitory located across from the hospital. With limited equipment, we witnessed crowded patient rooms with minimal access to much of the medical equipment that we use in American hospitals. There were no IV machines or cardiac monitors, but the staff made do with their resources despite the extra strain placed on the nurses due to the department relocations. This resourcefulness made us appreciate the access we have in America to medical equipment, pharmaceuticals, and air-conditioned facilities. At Tio Antonio’s Hammock Workshop. Today, the gang was off to a sluggish start, and for good reason. After a late start, we eagerly headed out to Granada for our day of sustainable tourism. We arrived at Granada with a view of Lago Cocibolca out the bus window. It is the largest lake in Nicaragua with waves crashing over the sand as if it were an ocean. We cruised into town on foot, stopping at various shops along the way. Most of us bought coconut water from a street vendor, which was neat because we stuck our straws straight in the coconut! When we arrived at the town square, a yellow church towered over the people and street vendors bustling in Granada. We were approached over and over by those selling sunglasses, noise makers, necklaces, and hammocks! After a leisurely lunch, we headed to Tio Antonio’s Hammock Workshop. At this workshop, we learned that it is one of the few places in Nicaragua that employs those with disabilities. At the shop, they strive to make hammocks that are of high quality. We were told it takes one person about two days to make one hammock. We then toured the workshop, as it is somewhat of a museum of the business as well as where they make the hammocks. 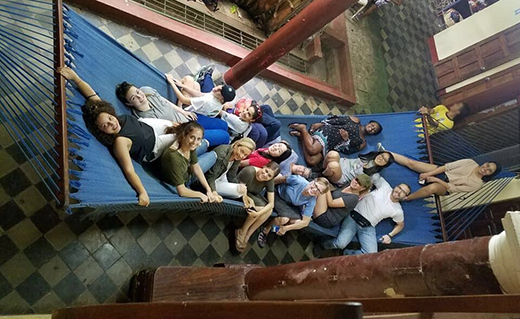 At the end of the tour, our entire group piled onto a huge hammock. Then we said goodbye to Granada and headed to our hotel in Managua. We all went to bed early because we had to be up by 05:30 for our flight back to Atlanta. Although we all have developed a love for Nicaragua on the trip, I think we are all ready to be home with our families for the holidays. Hasta la proxima (until next time), Nicaragua! At Hope Hospice in Jamaica. This afternoon, we visited Hope Hospice, a local hospice in the Montego Bay area. Going into this experience, I wasn’t quite sure what to expect. In what condition would the residents be? Would they want to participate in what we had planned for them? What would they think of us? All these thoughts ran through my mind as we walked up the stairs and into the facility. Upon being escorted through the locked, gated doorway, we were greeted by residents as soon as we entered. A group of three or four were sitting in chairs along the wall. A woman with a short stature smiled at us as we introduced ourselves. A man with a physical disfigurement nodded to us as we talked. And another woman with her back hunched over her walker gazed at us as we tried to build rapport. During our visit, we did music therapy with some of the residents, played dominoes with others, and socialized with those who could not leave their beds. Music therapy consisted of singing popular Christmas carols and hymns while having the residents perform different exercises, such as bicep curls or foot flexing, to the beat of the music. Not only is this type of therapy beneficial for this population to decrease frailty, but also to increase range of motion. It is worth mentioning that music helped bridge the cultural gap between us; for those in our group who had attended church, many of the popular hymns they grew up with were known by the residents. It created a great source of fellowship. The residents thoroughly enjoyed the music, as evidenced by one lady dancing and another man leading songs. The Alternative Winter Break 2017 group in Jamaica. While the residents were certainly inspirational, some general observations of the facility itself were noteworthy as well. There were no family members at the bedside, likely because they were all out working. Staffing appeared slim; we saw two nurses passing medications and one tech. One gentleman was there for partial paralysis. He had good resistance, and it appeared that he could restore some function if he had access to physical therapy. However, since none was available, he was bed-bound. He had a wheelchair at one point, but when the battery went out, there was not enough money to buy a replacement. This man’s situation reflects the public government healthcare system in Jamaica and what services are and are not available. The group is all smiles at the hospital in Rivas. Gooooooood Morning, Nicaragua. This morning we said farewell to our hotel in Gigante and headed out to the hospital in Rivas. We pulled up to a Pepto-Bismol pink building and we thought, “This can’t be the hospital.” We scrambled out of the car, white coats flying everywhere. This is probably the first time that most of us have worn our white coats with our scrubs. 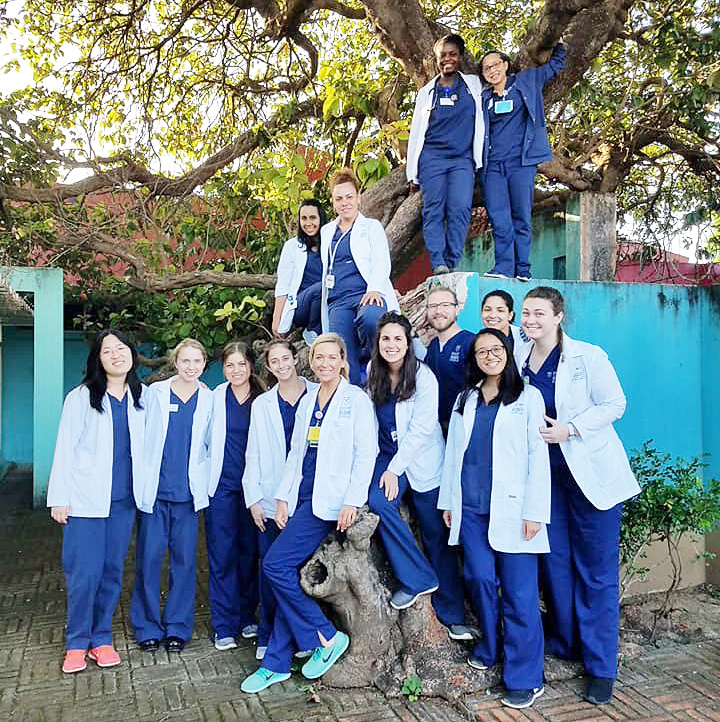 In the hospital in Rivas, scrubs are viewed as pajamas, so we wore our white coats in attempts to fit in a bit better. The nurses at the hospital wear perfectly ironed, white uniforms complete with a nurse’s cap. We started with a tour of the library, a room about ¼ the size of P01, our favorite auditorium in the nursing school. The library has some of the same resources a medical library would in the United States. Then we began visiting the different departments throughout the hospital. The hospital is a series of small buildings all connected by a covered walkway open to air. We enjoyed the greenery because in the United States, hospitals often feel isolating. Just like in the United States, they have posters of patient quality indicators educating the staff and patients. As we walked the hospital, you notice there is more than one patient to a room, in fact, there can be up to seven patients per room. There are no curtains for privacy, just an open room with the seven beds. However, if a patient assessment is needed, the patient is taken to a separate room for privacy. The nurse-patient ratios shocked us. Each nurse is responsible for 30 patients! In the United States, usually nurses have anywhere from three to six patients. Like the United States, a large portion of the resources seemed to be dedicated to the pediatric unit. Also, the ICU unit seemed to be the most updated department of the hospital, with newer equipment and more patient privacy. The group poses at the hospital in Rivas with nurses from the hospital. 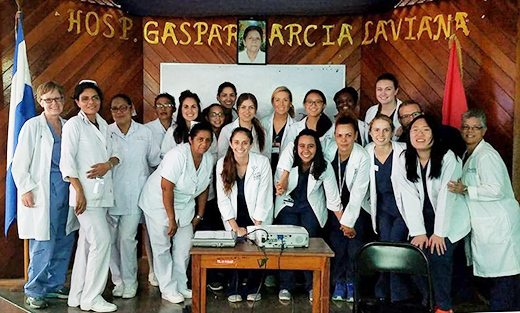 After touring, we got the opportunity to talk with a group of nursing students from Nicaragua. These nursing students are like those with a two-year degree in the United States. They serve as community nurses rather than nurses in the hospital. 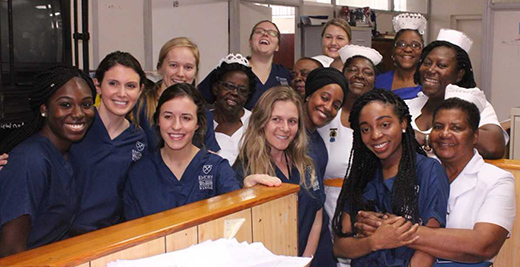 Those nurses working in the hospital must obtain a five-year degree, and this would be more similar to the BSN degree in the United States that qualifies one as a registered nurse. When we asked the groups where they wanted to be nurses, some did not give a specific location. Rather, they said they wanted to be a nurse wherever they were needed the most. When asked why they wanted to be nurses, their answers were the same as ours. They want to help people. It is as simple as that. While speaking with the nursing students, we were told that there would be an earthquake drill at 11:00. Then we started heading outside. We were surprised because in elementary school in the United States, we are typically told to get under a sturdy structure, such as a desk. However, they go outside because the buildings in Nicaragua are not sturdy. Another interesting fact is that everyone in Nicaragua does this earthquake drill together, as a nation. It is a mandatory and standard emergency preparedness practice that occurs every year. We ended the day with presentations for the nurses and nursing students. They specifically requested that we do a talk about domestic violence. Specifically, about how we approach patients who are victims of domestic violence in the United States. As it was a safe space for discussion, we had productive conversations that were powerful for both the nurses from Nicaragua and for us, as well. Additionally, we presented the program from the United States called “Talk to Me Baby.” After this presentation, one of the nurses explained that she planned to propose it to the hospital board next month in hopes of implementing the program at their hospital.